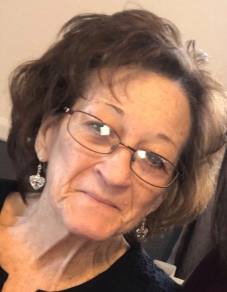 Mrs. Effie Christine Golding Lowe, age 65, of Lowgap, passed away on February 12, 2019 at the Joan and Howard Woltz Hospice Home in Dobson. She was born on May 28, 1953 to the late Harold and Era Dickens Golding. She was a loving wife, mother and grandmother who will be dearly missed by all who knew her. Left to cherish her memories are her husband, Don Lowe of the home; daughters and son-in-law, Jennifer and Kevin Lowe, Amanda Lowe; grandchildren, Justin Lowe, Jacob Lowe, Savanah Lowe, Blake Millner, Abby Millner, Colt Millner, and a special great-grandchild on the way due May 9, 2019 Brantley Christopher Wayne; sisters and brother-in-law, Helena and Charlie Moncus, Georgia Mayes, Tina Golding and a half-sister April Wood; brothers and sisters-in-law, Dickie and Helen Golding, Terry and Carol Golding and Bruce Golding. In addition to her parents Mrs. Lowe was preceded in death by a brother, Garnie Golding and an infant brother Harold Dennis Golding. A funeral service will be held on Friday, February 15, 2019 at 2:00 PM at Mt. Vernon Baptist Church with services conducted by Rev. Bill Spurlin and Rev. Chris Oakley. Burial will follow in the church cemetery. The family will receive friends on Thursday evening from 6:00-8:00 PM at Mt. Vernon Baptist Church in Lowgap.